Metal cutting generates heat due to friction and energy lost deforming the material. The surrounding air has low thermal conductivity (conducts heat poorly) meaning it is a poor coolant. Ambient air cooling is sometimes adequate for light cuts and low duty cycles typical of maintenance, repair and operations (MRO) or hobbyist work. Production work requires heavy cutting over long time periods and typically produces more heat than air cooling can remove. 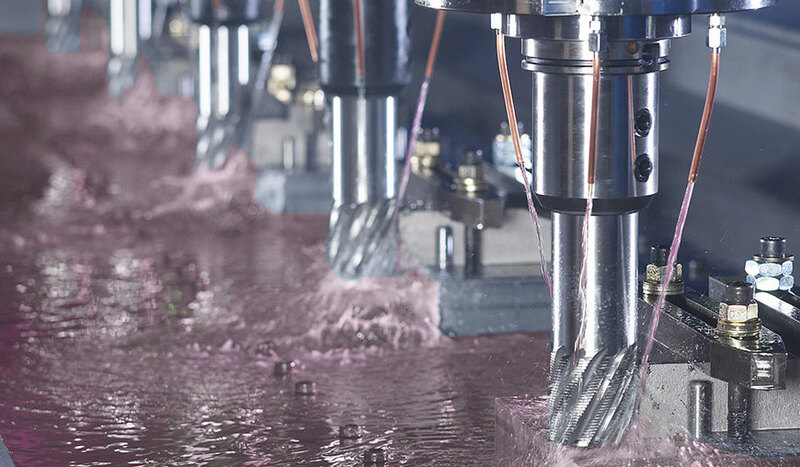 Rather than pausing production while the tool cools, using liquid coolant removes significantly more heat more rapidly, and can also speed cutting and reduce friction and tool wear. However, it is not just the tool which heats up but also the work surface. Excessive temperature in the tool or work surface can ruin the temper of both, soften either to the point of uselessness or failure, burn adjacent material, create unwanted thermal expansion or lead to unwanted chemical reactions such as oxidation. Metal cutting generates heat due to friction and energy lost deforming the material. The surrounding air has low thermal conductivity (conducts heat poorly) meaning it is a poor coolant. Ambient air cooling is sometimes adequate for light cuts and low duty cycles typical of maintenance, repair and operations (MRO) or hobbyist work. Production work requires heavy cutting over long time periods and typically produces more heat than air cooling can remove. 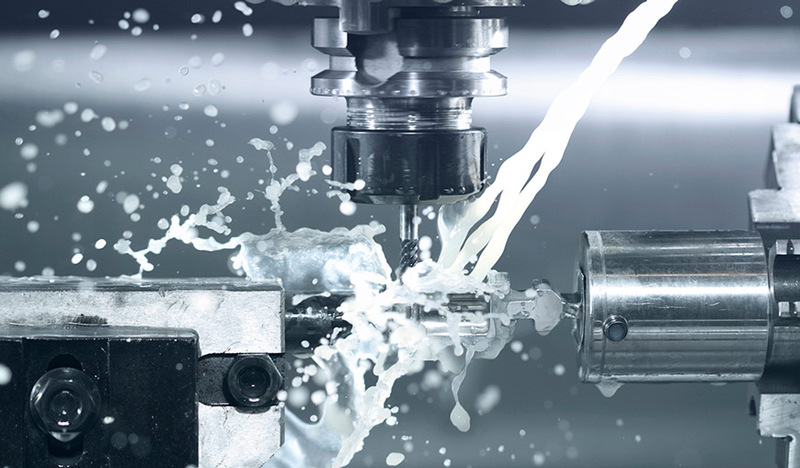 Rather than pausing production while the tool cools, using liquid coolant removes significantly more heat more rapidly, and can also speed cutting and reduce friction and tool wear. However, it is not just the tool which heats up but also the work surface. Excessive temperature in the tool or work surface can ruin the temper of both, soften either to the point of uselessness or failure, burn adjacent material, create unwanted thermal expansion or lead to unwanted chemical reactions such as oxidation. Besides cooling, cutting fluids also aid the cutting process by lubricating the interface between the tool's cutting edge and the chip. By preventing friction at this interface, some of the heat generation is prevented. This lubrication also helps prevent the chip from being welded onto the tool, which interferes with subsequent cutting. Waxes are solid materials and cannot be used directly in many applications . It is necessary to convert them into wax additives that are easy to handle and can be readily incorporated into all types of systems. Wax additives can be finely dispersed waxes in a liquid carrier (water or organic solvents) or micronized waxes in powder form. Micronized wax additives are ideal for solvent-free applications but they also can be easily stirred into liquid systems. Wax additives are formulations and may contain more than one type of wax. Wax combinations are often used to create wax additives with unique features.